New year, new you! What better way to plan for an awesome 2017 than getting involved in one of the toughest endurance races available? 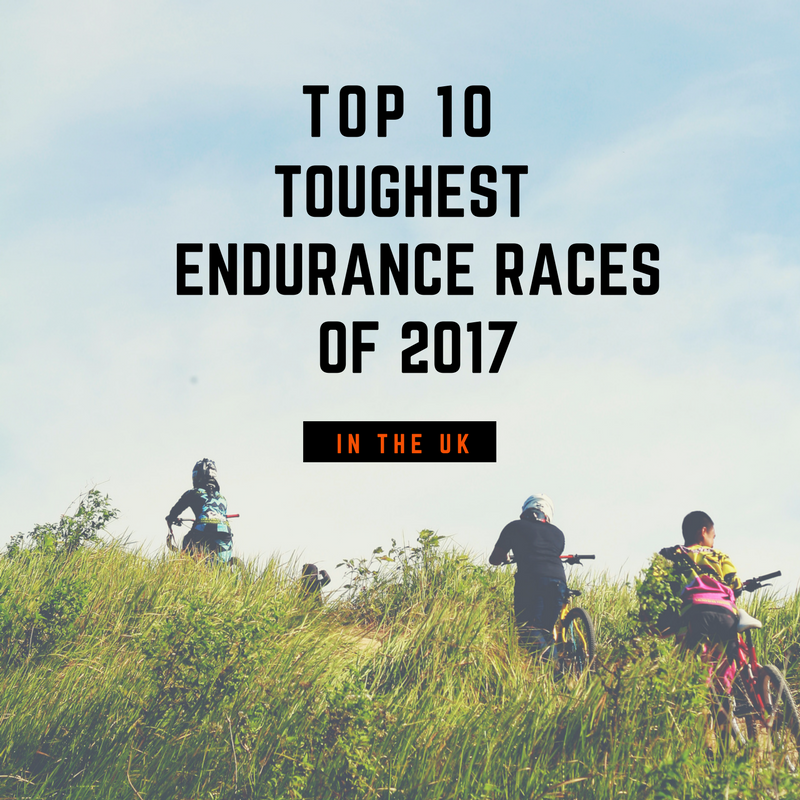 In today’s blog post, we look at the top 10 endurance challenges that you can take part in this year! Bear in mind they are in NO PARTICULAR ORDER. They are each as brutal as the last! Held in January and taking place across one of the most iconic trails in the UK, the Montane Spine Race is one of the toughest endurance races in the world. Runners can expect to face extreme weather, deep snow, ice, mud, bogs, ground water, storm force winds and driving rain in a gruelling, non-stop, 7-day race from Edale to Kirk Yetholm. The race takes place in January so it may be a little late to join this year but this race is so tough that it justifies taking a whole year to train for. Bring on 2018! Taking place at the end of May, the London 2 Brighton offers runners and walkers of all abilities a challenge to test their wits. Participants have the option to walk, jog or run the 100km course. What we love about this race is that experienced ultra runners can run the same course as beginners, it truly is a challenge for everyone. Racers will cross 100km of paths and trails, the North Downs, South Downs and some wonderful Sussex countryside before the coastline comes into view and the welcome finish line awaits down the home straight of Brighton Racecourse. Truly a bucket list challenge! If you want to get involved, here are instructions on how to join. While you may say, 24km isn’t a long race; you would be seriously wrong to underestimate this gruelling event. The Fan Dance is a 24km race over two sides of Pen Y Fan, the highest mountain in the Brecon Beacons. This infamous route has long been a part of SAS selection and is considered the yardstick of a candidate’s potential to perform well on test week and ultimately pass the Special Forces Selection program. So yea, if it’s the final test for the SAS recruits, I guess you can say that it isn’t for everybody. The course has just about every natural obstacle that you possibly face, including the elements of winter or summer. There are steady slopes that allow a solid jogging pace, shocking inclines that have you almost on your hands and knees, loose stone tracks that require cautious foot placements and much more. We don’t want to spoil the surprise! If you’re interested in taking part in their summer event, find out more. The Continental Thunder Run is a 24-hour off-road relay race against the clock. Whether you run solo or with a team of 2-8, it’ll test your tactics, endurance, speed and teamwork. It’s an exhilarating, rewarding and tiring race with a great atmosphere. You’ll find TR24 physically challenging and mentally tough but an experience not to be missed. One team member must be on the course at all times during the 24hrs. Runners must complete one full 10km lap before changing over with a teammate but may run 2, 3 or more laps at a time before the changeover. The team with the most laps completed when the clock stops after 24hrs will win. Tickets are currently sold out for the 2017 race, but you can get yourself on the waiting list. Revolve 24 is a non-stop 24-hour cycling race that takes place at the iconic Brands Hatch. Participants can enter solo or with teams of up to 8 people. As much a mental challenge as a physical one, the weekend is as much about the environment in the paddock and pit garages as it is about the action on the track. Non-competing Crew Members are welcome to add encouragement, strategy, and support throughout the weekend, which can be as rewarding as actually taking part. If you want to sign up, you visit their website. While it may not be the most challenging event concerning endurance, it certainly is the top of many cyclists’ bucket list. Taking place over five days, the route will take participants from Crystal Palace to the heart of Paris, the Eiffel tower. The course is approximately 300 miles long (ferry distance not included) and along the way, you will be treated to beautiful countryside, picturesque villages, and amazing views. Even when you finish, you get the day to hang around to Paris and visit many sites that you may have cycled past! But don’t worry, you won’t have to cycle back, your Eurostar ticket home is included in the price. To find out more info including training guides, check out the information their website. When it comes to obstacle course racing, it doesn’t get much tougher than Nuclear’s Oblivion series. Participants have 8.5 hours to complete as many of the 12km laps as they can. Each lap contains around 90 obstacles so you can imagine the toll that this takes on your body. Nuclear races are numerous award winners at the Mudstacle awards so you know they put on a great event. Team EtchRock can attest to this; we just did the one 12km lap, and it was brutal. I can’t imagine doing four laps! Only for the toughest OCR enthusiasts out there! Unfortunately, as of today, the tickets are sold out for 2017’s event. Still, bookmark their website in case anything changes. The Lakeland 100 is notoriously known as one of the toughest endurance races in the UK. The 100-mile event sets of at 6 pm Friday evening with the final cut-off point Sunday morning at 10 am. The Lakeland 100 requires competitors to be experienced ultra distance runners with excellent navigation skills. The event is unfortunately sold out for 2017, but due to the nature of the challenge, setting a goal of completing it in 2018 doesn’t sound like such a bad idea! If you’re an endurance race fanatic, you’ve heard of Ironman. But why haven’t you given it a go yet? It’s a big leap for any triathlete, but one that you will not regret. The competitive nature and sheer scale of the events will have you hooked for life after you have done your first. The Bob Graham Round is one of the most unique challenges in the UK. Not run by an organisation, but rather a club of athletes who have completed the challenge themselves. If you want to take part, applicants must register with the Membership Secretary before an attempt and must be accompanied at every summit for verification purposes. It is one of the traditions of the Club that existing members will assist their aspiring colleagues by ‘pacing’ their attempts. EtchRock Elite, Frank made his first attempt at the Bob Graham round earlier this year. Check out his blog to read about his experience. Are you thinking about taking on any of these challenges? Any that we have missed out? Let us know in the comments below!